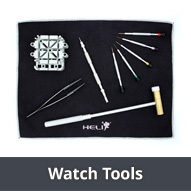 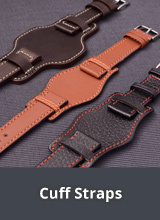 Watch Straps Made of Leather with a Smooth Surface - In this shop category you will find a wide range of watch straps made of genuine leather with a smooth surface. 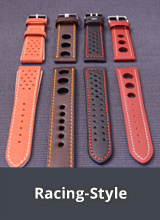 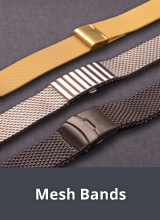 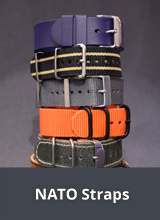 These watch straps are available in several colours, styles and designs from notable manufacturers and brands from across the world. 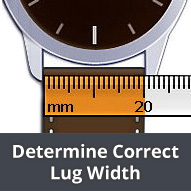 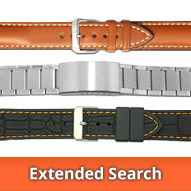 In most cases, the buckles on the watch straps can be removed and exchanged (for eg. 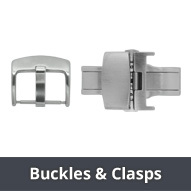 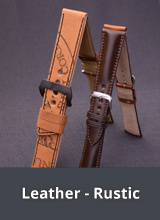 a buckle from a previous strap which you'd like to carry on wearing).